Anderson Process offers a number of filtration products engineered to drive reliable production and help our customers achieve maximum operational profitability. Click or tap the bar above, then scroll, to view the industry-leading manufacturers we represent for each of our filtration technologies. Filter Technology For Fluid Process Profitability. By either enhancing the performance of hydraulic and lubrication systems or preventing product contamination during processing, quality filtration technology is essential to maintaining peak productivity in any fluid-handling operation. Anderson Process offers a wide variety of filtration solutions that provide the unique filtration performance — from heavy duty to extreme purity — that industrial and manufacturing applications need to keep their processes flowing. Anderson Process’s comprehensive line of filter technology includes process filters engineered for the specific needs of the chemical, food and beverage, paints and resins, pulp and paper, power generation and other industrial processing applications. 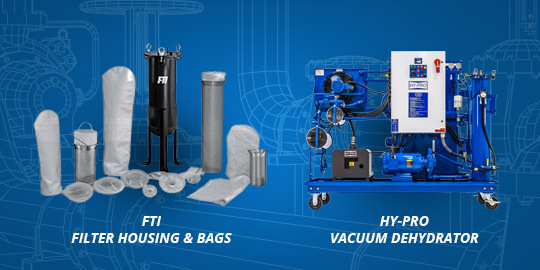 Our filtration solutions, which include housings, vessels, filter bags and filter cartridges, are developed by industry-leading filtration manufacturers such as Hy-Pro and Kaydon. Featuring components designed with material compatibility, flow rate and pressure requirements in mind, our filter solutions help industrial and manufacturing processing equipment achieve maximum uptime, performance and service life. Engineered to streamline maintenance, Anderson Process filter bags and filter cartridges are designed for easy installation and replacement, ensuring that production downtime is minimized. Anderson Process’s in-house equipment experts know filtration technology inside and out. Our team will take the time to learn about the unique challenges of your operation so that we can specify filter configurations that can withstand your system’s necessary throughput, and identify the filter media type that is engineered to meet your filtration goals. This allows us to determine the optimal filter specifications that will integrate with your process to enhance efficiency, output and profits.